Originally from Australia, Malcolm came to Christ in 1980. He is married to Ruth; they have six children. Malcolm is the founder and executive director of LeaderSource SGA, an international leader development ministry. He is also the founder and senior pastor of Living Faith Fellowship – a multicultural church in Indiana, USA. With a successful background in the business world, Malcolm holds his Ph.D. in the field of organizational leadership and works with Christian leaders in many nations. He has written over 30 books, the most popular of which is To Enjoy Him Forever, and his writings have been published in both scholarly and popular journals. His Leadership Letters are read by thousands of leaders around the world every month. 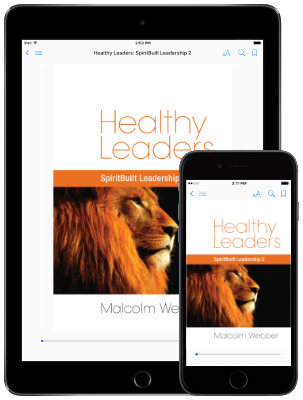 Malcolm is deeply committed to the preeminence and centrality of Jesus Christ, the priesthood of every believer, healthy leadership and holistic leader development, and the global calling of the local church.